UPDATED: Mon., May 8, 2017, 6:04 p.m.
Higher silver prices helped Hecla Mining Co. turn a first-quarter profit despite an ongoing strike at the Lucky Friday Mine in North Idaho. Coeur d’Alene-based Hecla reported $26.7 million in income, or 7 cents per share, on sales of $142.5 million. The results, released Monday, compared to a loss of $756,000 during the first quarter of 2016. “We are focused on working to end the strike at Lucky Friday,” President and CEO Phil Baker said in a news release. Baker said that until the strike ends, he was suspending estimates for Hecla’s 2017 silver production. 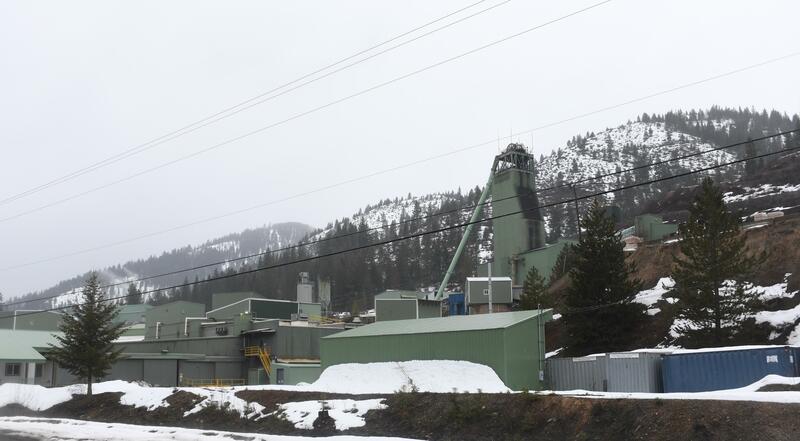 Miners at the Lucky Friday Mine in Mullan, Idaho, went on strike March 13 after months of negotiations over working conditions and pay failed to produce a new contract. Hecla’s silver production dropped 27 percent to 3.4 million ounces during the first quarter compared to the same period a year ago. In addition to the Lucky Friday strike, the company’s Greens Creek Mine in Alaska and its San Sebastian Mine in Mexico also mined fewer ounces of silver during the quarter as a result of lower ore grades. But higher silver prices of $17.90 per ounce increased the company’s sales revenue during the quarter. Prices for lead and zinc were also higher. A strong quarter at Hecla’s gold mine in Quebec also benefited company earnings, along with a $29 million tax credit related to depreciation from the development of a new shaft at the Lucky Friday Mine. While the miners remain on strike, Hecla’s management has been working on infrastructure projects related to ventilation and pumping at the underground mine, Baker said. Published: May 8, 2017, 11:06 a.m. Updated: May 8, 2017, 6:04 p.m.